See How You Can Leverage ChartRequest and Improve Your Continuity Of Care. Detecting, treating, and eliminating cancer is serious business. That’s why having the right health information exchange (HIE) technology is vital for improving patient outcomes through care coordination and referral management. 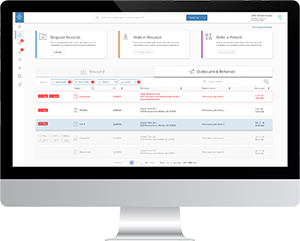 With ChartRequest, you’ll increase turnaround times for medical records requests while improving collaboration between care teams. Discover how we can improve your continuity of care. Referrals are an ever-present reality for integrated oncology networks (IONs). Our HIE technology closes the referral loop for medical records—no matter the type of EMR systems involved. With ChartRequest, your organization and other healthcare entities can request medical records immediately upon referral. 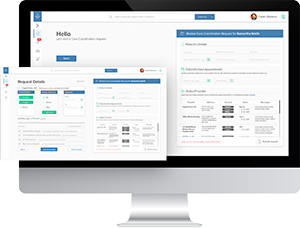 In addition, you’ll be able to retrieve records from your referral network. 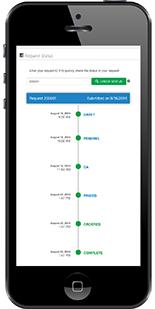 Tap into the power of ChartRequest to streamline your care coordination. Our HIE platform breaks down siloed data, providing a central location for sharing medical records. We have partnerships with over 15,000 healthcare providers, and any organization can use our platform to request records from our network—for free. Exchanging medical information by mail or fax isn’t just inconvenient—it’s also expensive. When there’s a lack of visibility into the HIE process, requesters bombard offices with phone calls and unnecessary communication. In turn, your administrative staff spends precious hours tracking the progress of records. ChartRequest addresses these operational inefficiencies. 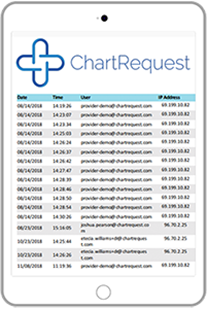 Simply connect requesters to ChartRequest’s real-time updates—and decrease your administrative expenses. HIPAA compliance isn’t an option for IONs. At ChartRequest, we understand the importance of securely sending encrypted data to authorized individuals. In fact, each request creates a digital audit trail. At a glance, quickly pinpoint what actions transpired, when these events occurred, and what IP addresses were involved. 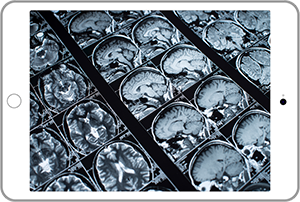 Discover how our HIE technology supports continuity of care.